When you stay at Villa Noosa Hotel in Noosaville, you'll be in the suburbs, within a 10-minute drive of Noosa National Park and Hastings Street. This hotel is 3.2 mi (5.1 km) from Noosa Beach and 11.1 mi (17.9 km) from Coolum Beach. Make yourself at home in one of the 24 air-conditioned rooms featuring refrigerators. Rooms have private balconies or patios. Complimentary wireless Internet access keeps you connected, and digital programming is available for your entertainment. Bathrooms with showers are provided. Satisfy your appetite with local cuisine at Villa Noosa Bistro, a restaurant where you can enjoy drinks at the bar and dine alfresco. Snacks are also available at the coffee shop/café. The front desk is staffed during limited hours. Planning an event in Noosaville? This hotel has 3229 square feet (300 square meters) of space consisting of conference space and a meeting room. Free self parking is available onsite. The hotel offers a restaurant and a coffee shop/café. A bar/lounge is on site where guests can unwind with a drink. Wireless Internet access is complimentary. Event facilities measuring 3229 square feet (300 square meters) include conference space. 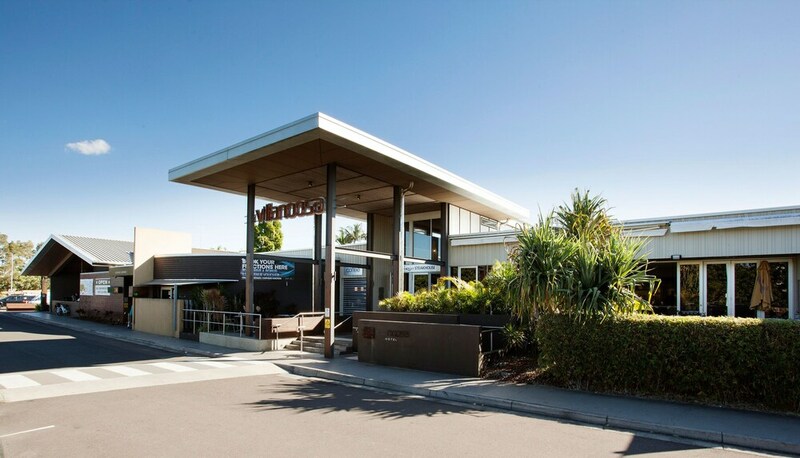 This Noosaville hotel also offers an outdoor pool and a complimentary children's club. Onsite self parking is complimentary. Villa Noosa Hotel has designated areas for smoking. Villa Noosa Bistro - This restaurant specializes in local cuisine and serves lunch and dinner. Guests can order drinks at the bar and enjoy alfresco dining (weather permitting). A children's menu is available.